When it comes to patio doors, retaining your privacy is equally as important as enjoying the sunlight. 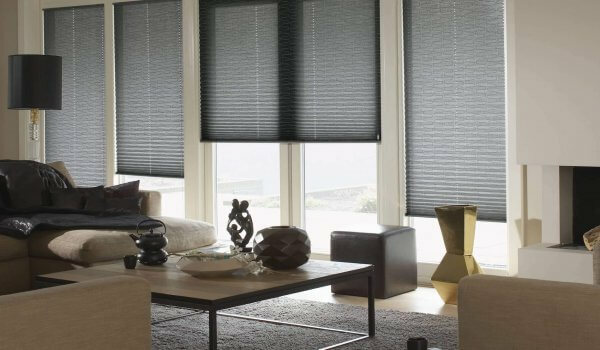 At Leamington Blinds, we offer the best of both worlds with easy to manage patio blinds, that feature privacy, covering, light control and beautiful aesthetics. 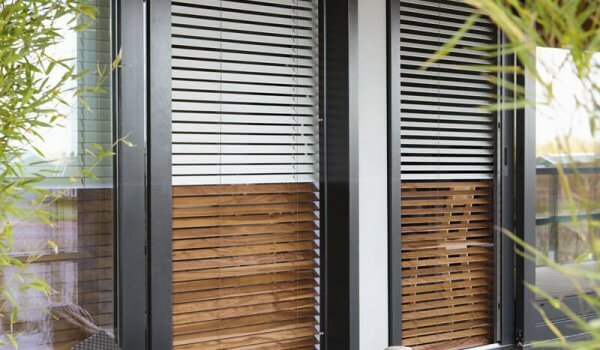 When choosing internal blinds for bifold doors, we often recommend vertical blinds due to the typically large windows involved. 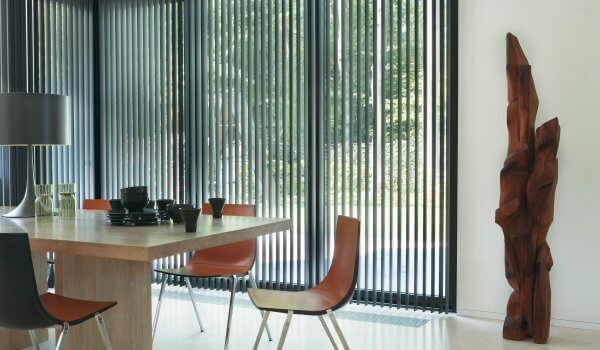 Vertical blinds offer full-length coverage for large areas and are easy to operate and manage. For an innovative, personal look, Leamington Blinds also supply perfect fit blinds. Perfect fit blinds are a compact, stylish blind that matches the specifications of your windows to a pinpoint accurate fit. Not only do perfect blinds provide a unique look, but they’re also highly functional and simple to install. At Leamington Blinds, we offer made to measure blinds for bifold doors and every other door or window of your home. We’ll arrange a home visit where one of our expert team will measure your windows meticulously to ensure you receive blinds that fit perfectly. Plus, with our huge variety of styles to choose from, you can be assured you’ll be receiving window blinds or door blinds to fit your personal style. As a family-run business, we’re driven to ensure we deliver the best customer service throughout Leamington Spa and Warwickshire. Not only do we provide free home visits, free measuring and free fittings on all our blinds, we also include a 3-year warranty with every purchase. To learn more about Leamington blinds, enquire about our blinds for french doors, or speak to us about any of our wide range of products and services, give our friendly team a call today.